On Saturday, September 29th, 400 people from across the city and around the region joined Save the Harbor/ Save the Bay for a free cruise to discover the Treasures of Spectacle Island. It was warm and sunny as the day began at Bay State Cruise Company's dock at the World Trade Center in South Boston. On the short trip to the island participants heard from Save the Harbor's Bay Watcher Bruce Berman about the history of the harbor, the Boston Harbor clean up and the transformation of Spectacle Island from a dumpsite into one of the most popular destinations in the Boston Harbor Islands National Park. 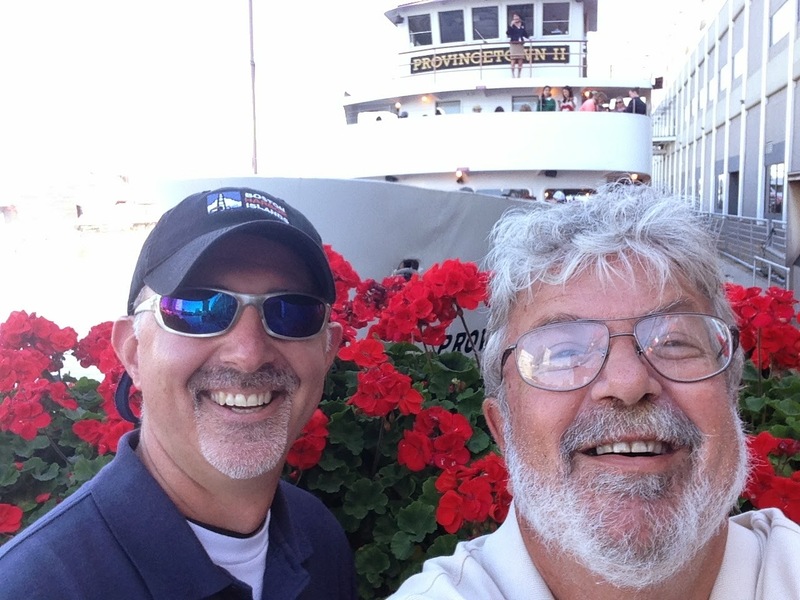 Onboard the Provincetown II, Save the Harbor shared their favorite sea shanty, Haul Away Joe, with the crowd. "This song teaches us a timeless lesson. When we all pull in the same direction we can get almost anything done." said Berman. 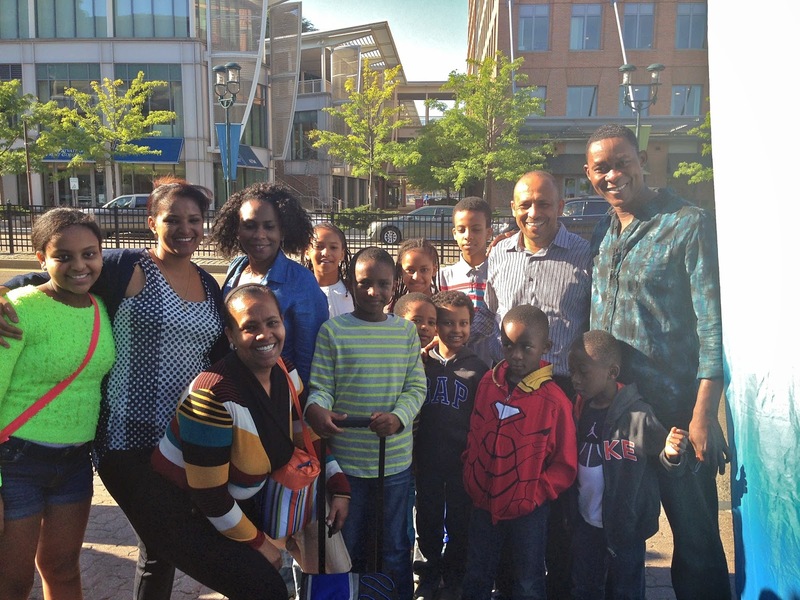 James Nicoleau from Allston, who works on the Fish Pier, joined us for a day of fun with his family! Once on the island, DCR Rangers led groups on a tour of the island, where they had a chance to learn about the fascinating history of Spectacle Island and local wildlife. Amy, Ian and Rachel from Save the Harbor/ Save the Bay spent their day along the shore helping beachcombers discover and interpret the many treasures and artifacts found on the beach. Amy Gaylord, Staff Assistant at Save the Harbor/ Save the Bay, played a large part in getting the 400 kids and families out to Spectacle Island for the free cruise. "It was a beautiful day to share the harbor with teens and families from all over Greater Boston. 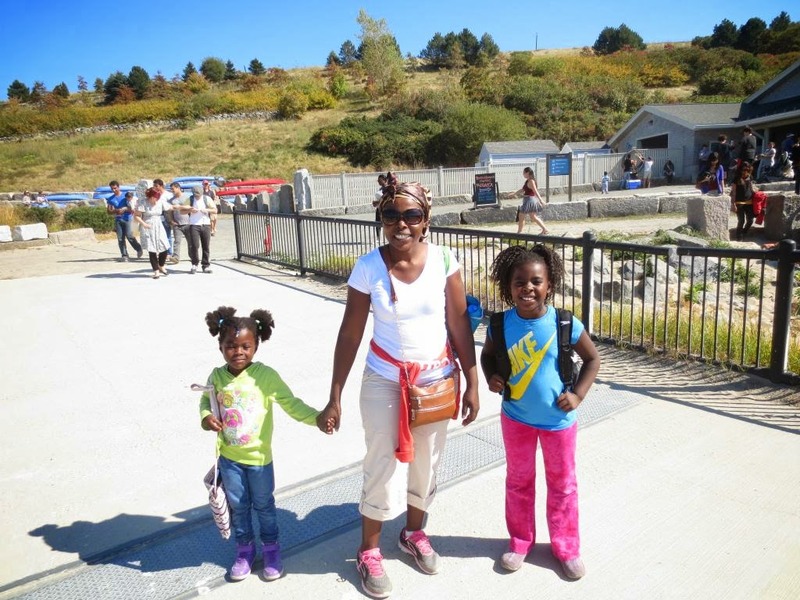 First-time visitors and frequenters of Spectacle Island enjoyed hunting on the beach for artifacts, hiking to the top of the North Drumlin for views of the city, and even swimming at the beach in the 80 degree weather!" It was a beautiful day spent on Boston Harbor! Everyone who took part agreed that it was a great day on Boston Harbor and Spectacle Island. Save the Harbor/ Save the Bay will host another free fall cruise to Spectacle Island on Saturday, October 25th to celebrate another great season on Boston Harbor. If you would like to join Save the Harbor/Save the Bay on the 25th, please RSVP to gaylord@savetheharbor.org. 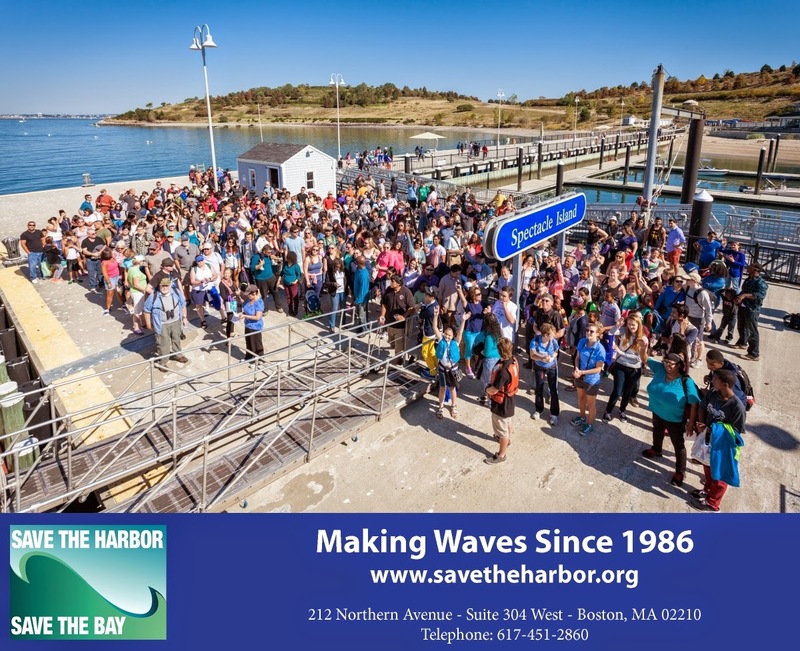 Make a contribution here if you would like to support Save the Harbor's free events, such as this one. Save the Harbor's free youth environmental education and family programs are made possible with Leadership Grants from Bay State Cruise Company, Distrigas/GDF SUEZ, The Coca-Cola Foundation, Ludcke Foundation, and the Yawkey Foundation II. Save the Harbor also appreciates funding support from Arbella Insurance Group Charitable Foundation, Baystate Federal Savings Charitable Foundation, BCYF Curley Community Center, Blue Hills Bank Foundation, Blue Hills Bank Pavilion, BOMA, Boston Bruins Foundation, Boston Center for Youth and Families, Breckinridge Capital Advisors, Carnival Foundation, Clippership Foundation, Circle Furniture, Community-Suffolk, Inc., Department of Conversation and Recreation, Eastern Bank Charitable Foundation,Paul & Phyllis Fireman Charitable Foundation, Matthew J. & Gilda F. Strazzula Foundation, Goulston & Storrs, HYM Investment Group Inc., Lovett Woodsum Family Foundation, Massachusetts Water Resources Authority, National Park Service, Rowan Murphy & Andus Baker, P&G Gillette, Reebok Foundation, Santander Bank Foundation, South Boston Community Development Foundation, Thomas & Lucinda Foley, Red Sox Foundation, Lawrence J. & Anne Rubenstein Foundation, Senior Housing Property Trust, TD Charitable Foundation, YMCA of Greater Boston, and hundreds of individual donors. Tiffany Found Her Marble and So Can You! In September Save the Harbor selected our first JetBlue ticket winner in our "Simply Marble-ous" Treasure Hunt -Tiffany Wallace-Buckley!! She found her blue marble on Carson Beach during the South Boston Neighborhood House Family Fun Night with her seven year old daughter, who loves to look for sea shells, beach glass, and other treasures along the shore! 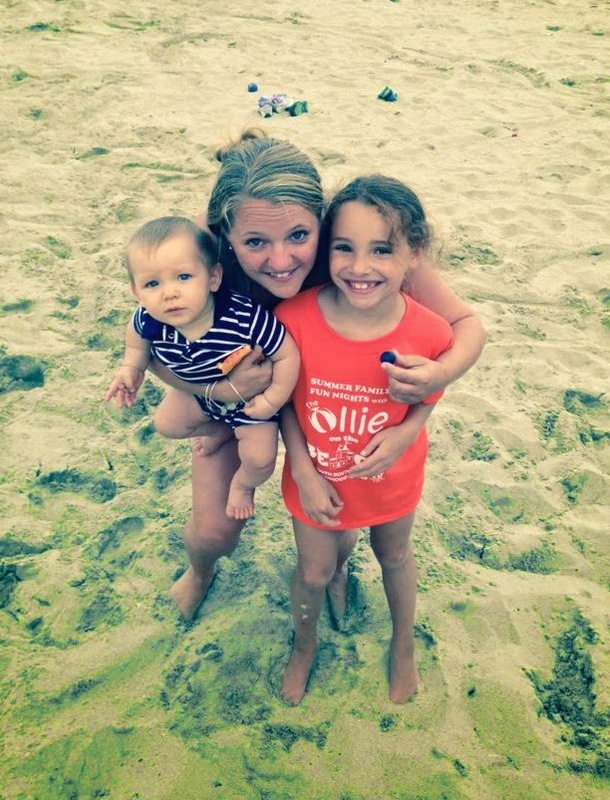 "We love to go to the beach in South Boston and to the Boston Harbor Islands. Thanks to Save the Harbor and the South Boston Neighborhood House for making Boston a great place for kids and families like mine." Tiffany will be using her round trip JetBlue ticket to visit their family in Texas! Save the Harbor/ Save the Bay has partnered with JetBlue Airways again this year for the 3rd Annual "Simply Marble-ous" Treasure Hunt- and it's still going on! 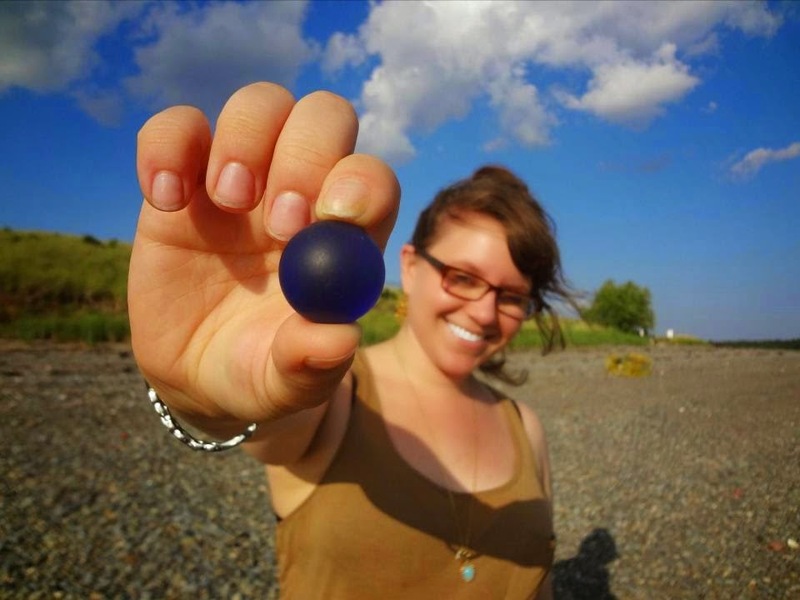 If you find a cobalt blue marble on your favorite beach from Nahant to Nantasket by October 31st, just take a photo of yourself with your marble and post it on Save the Harbor's facebook page or e-mail it to info@savetheharbor.org! Please include your name, contact information, and which beach you found your marble on. You could win a round-trip ticket from JetBlue Airways to any domestic destination they serve from Boston's Logan Airport! We will be picking one more winner on Halloween following our last cruise to the Boston Harbor Islands on October 25th to celebrate the end of the season! There are still plenty of marbles to be found around the beaches from Nahant to Nantasket so be sure to keep your eye out while you take your crisp fall walks along beautiful Boston Harbor! On Wednesday, September 17th, 80 employees from Blue Cross Blue Shield joined Save the Harbor/ Save the Bay in South Boston for its 4th annual day of service. The “Blue Crew” were part of a statewide corporate service day in which teams participate in various community service projects to help give back to the Massachusetts communities. 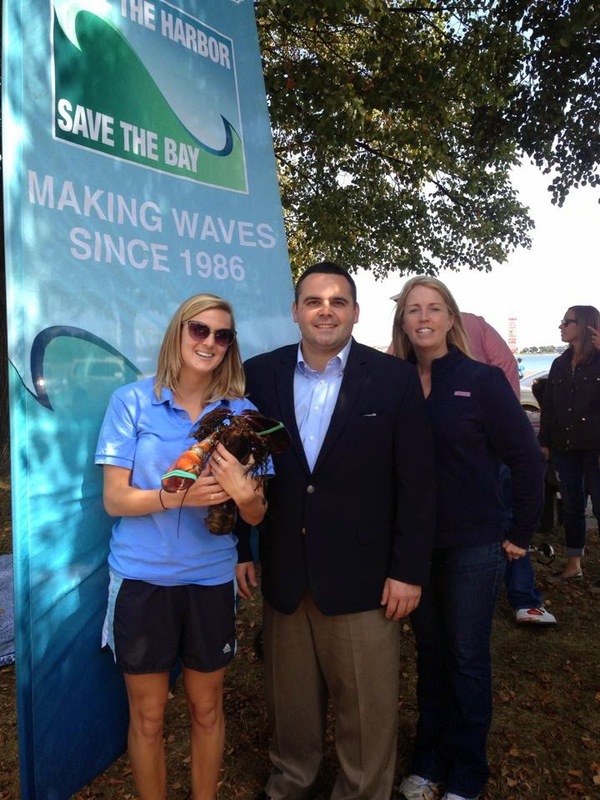 Site coordinator, Jay Stack, led the efforts of the 80 Blue Cross Blue Shield employees in South Boston at Carson Beach, M Street Beach, and K Street Beach in partnership with the Massachusetts Department of Conservation and Recreation and Save the Harbor/ Save the Bay staff. South Boston’s eight teams accomplished a great deal of work throughout the day from Pleasure Bay to the McCormack Bath House removing weeds and overgrowth, trimming hedges, painting shade shelters, and returning sand back to the beaches. Their efforts were most apparent along M Street Beach where the crews worked tirelessly to shovel, sweep, and blow the sand over the wall and back onto the beach. Additionally, at K Street Beach where invasive overgrowth along the Curley Community Center was manually removed and a large amount of debris was collected. By the end of the day the “Blue Crew” removed three truckloads of brush and debris, painted 19 shade shelters, and removed an immense amount of sand from outside M Street Beach. Thank you to everyone who took part in this great event on the beaches of South Boston. All of us at Save the Harbor/ Save the Bay appreciate your hard work and dedication to our mission and our community. On Saturday, September 20th, the Better Beaches Program was in full swing across the Metropolitan Beaches. 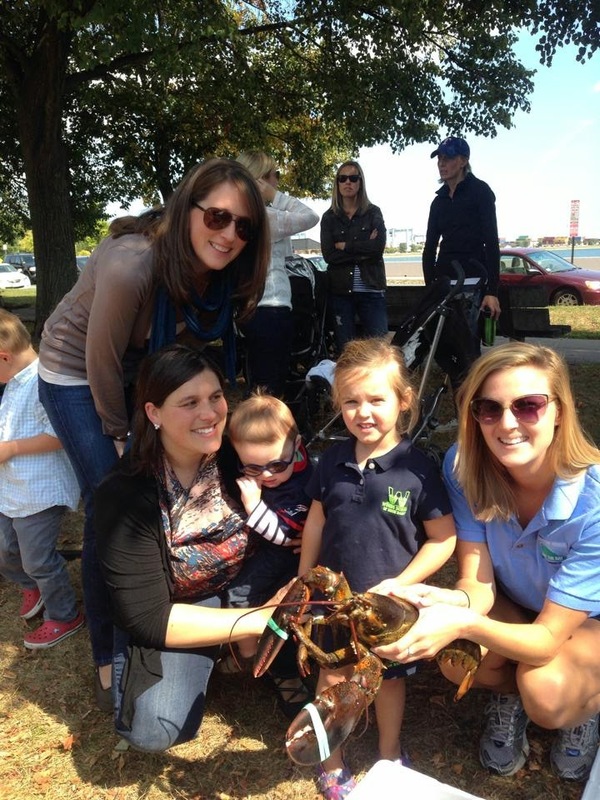 South Boston's City Point Neighborhood Association hosted their annual "Beat the Summer Sizzle" event at Marine Park, where local families enjoyed hamburgers and hot dogs, tossed around a football, and learned about Larry the five pound Lobster! Representative Nick Collins came out to enjoy the sunny day in the park. Senator Linda Dorcena Forry's office provided ice cream for the event, and local artist Dan McCole provided painting instruction for both kids and adults. Meanwhile in East Boston, the HarborArts Festival was in full swing. All along the shipyard, local artists set up booths to sell handmade wares, and there were food trucks and beer stands on hand. A full lineup of bands played from the afternoon through the evening at the end of the pier. Local artist Liz LaManche's "Dock Tattoo" was on full display, with impressively rendered sea creatures and nautical images among many other designs. There were activities at the Festival to appeal to all age ranges-- it was really a great event! All in all it was a busy Saturday for Save the Harbor. Now we look forward to next Saturday, when we will host a cruise to Spectacle Island. I encourage you to get out on the Harbor to enjoy the beautiful weather! 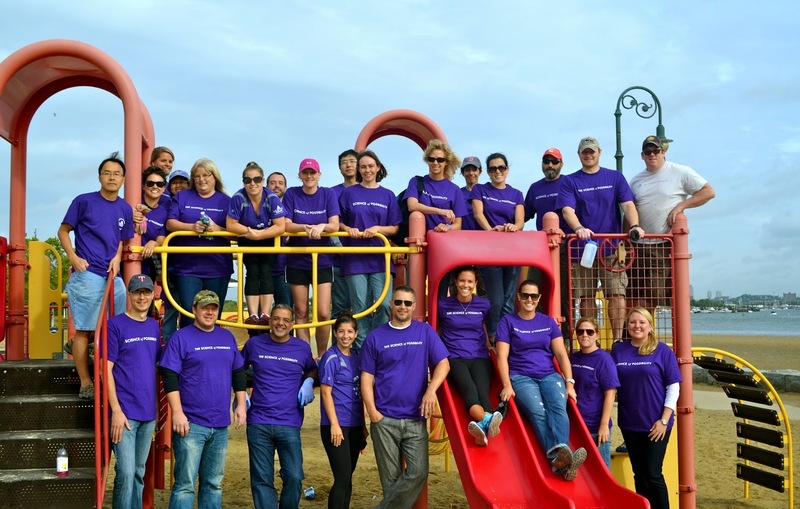 On September 11, 2014, 60 employees of Vertex Pharmaceuticals, a global biotech company headquartered at Fan Pier in Boston, joined Save the Harbor/ Save the Bay for a cleanup at Tenean Beach and Savin Hill Beach in Dorchester as part of their annual day of service. The first team from Vertex spent the morning at Tenean Beach in Dorchester removing debris and brush from the beach and the adjacent playground and lawn. Each year, Vertex offers its employees the opportunity to participate in various civic engagement and community service opportunities in the Boston community, including beach and park cleanups, tutoring in local schools, and creating care packages for the military. Of the approximately 1,000 Vertex employees that took part in this year’s service day worldwide, 60 elected to spend the day at Tenean Beach and Savin Hill Beach in Dorchester with Save the Harbor / Save the Bay removing debris, trimming overgrown brush, and weeding the land, pathways, and sidewalks that line the beaches. In total, they removed 2.5 truckloads of debris and brush from the two beaches with the help of the Department of Conservation and Recreation and Save the Harbor/ Save the Bay staff. Jennifer Casagrande, Kerrie Blanchette, Lauren Kuhn, Josh Leeman, and Ed Luss with the debris they collected from Tenean Beach. 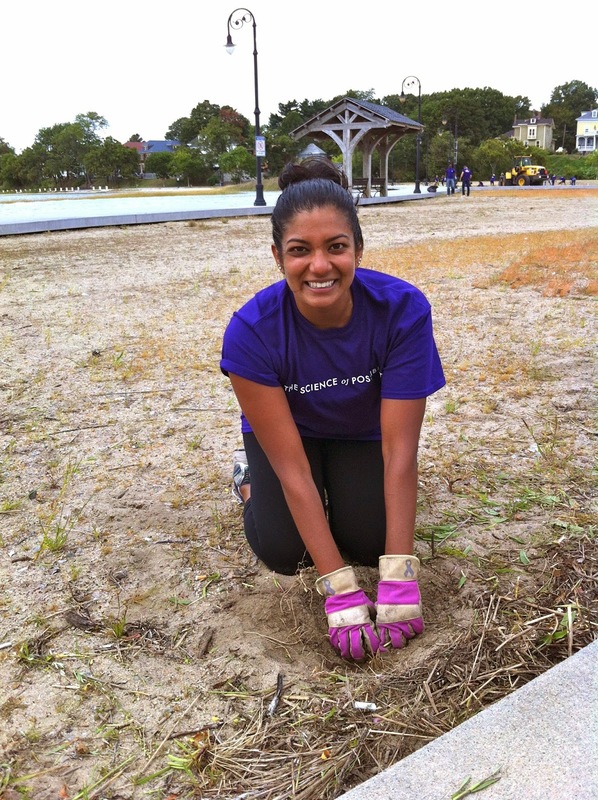 Ankita Deshpande of Vertex helped remove weeds from Savin Hill Beach in Dorchester. Thank you to everyone who participated in this day of service on the Dorchester beaches. All of us at Save the Harbor/ Save the Bay appreciate your hard work and dedication to our mission and our community. Free "Treasures of Spectacle Island Cruise" on September 27th!! On Saturday, September 27th Save the Harbor/ Save the Bay will host a free cruise to Spectacle Island to enjoy a beautiful fall day on Boston Harbor and discover the "Treasures of Spectacle Island!" 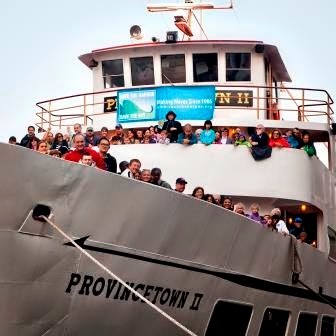 We will board the Provincetown II at Bay State Cruise Company's dock at the World Trade Center and set sail to Spectacle Island, which has been transformed from a landfill into a spectacular destination for residents and visitors alike. Due to its long history there are many treasures to be found along the beach- including historic artifacts like sea glass, remnants of dolls and toys, and pottery. 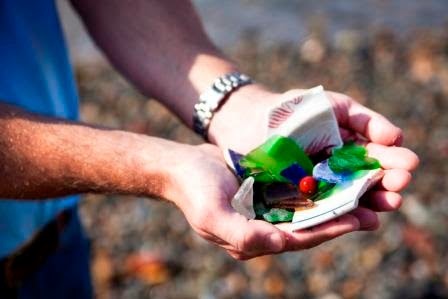 However, we gently remind you to leave sea glass and other artifacts on the beach where you found them. Though the snack bar on the island is closed for the season, there will be refreshments available for sale on the Provincetown II. Of course you are more than welcome to pack a picnic lunch! Just remember to bring a bag for trash with you as there are no trash receptacles on the island. 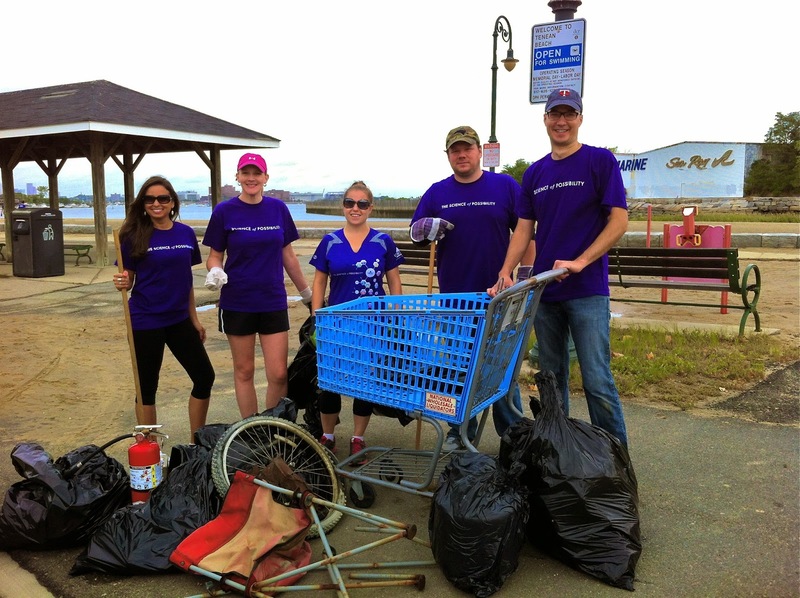 The Massachusetts DCR encourages a 'leave no trace' policy in order to keep Boston Harbor clean! On the trip over to Spectacle we will be sharing our favorite sea shanty, "Haul Away Joe", and encouraging you to come up with an original verse of your own! We'll pick our favorite renditions of "Haul Away Joe" from the trip and post them on our blog "Sea, Sand and Sky" at www.blog.savetheharbor.org. Any brave soul that writes a new verse will receive a blue beach glass marble and a chance to win a round trip ticket to any non-stop domestic destination from JetBlue Airways as part of our "Simply Marble-ous" treasure hunt, which runs through Halloween! Reservations are required. Though there is plenty of room on the boat, space is still limited, so please RSVP to gaylord@savetheharbor.org or call Amy at (617) 451-2860 x1008 to reserve your place! Please give us an accurate headcount so that we can accommodate as many guests as possible.